It's nearly Christmas! 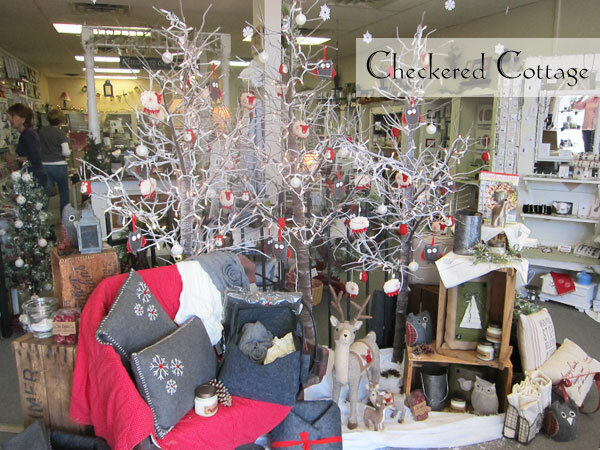 We are sure that your craft rooms are buzzing with last minute Holiday preparations. 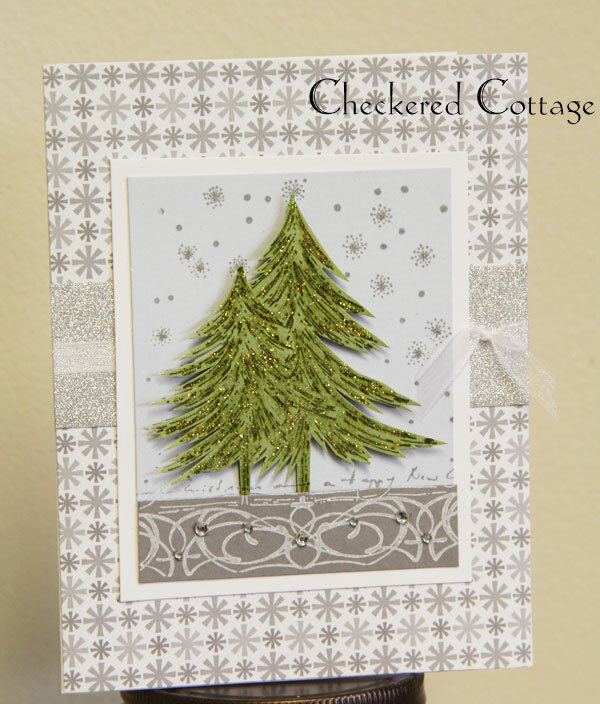 Snowflakes are in the forecast for this afternoon so we thought it would be fun to share some beautiful frost inspired cards from Linda. Aren't those snowflakes amazing?! 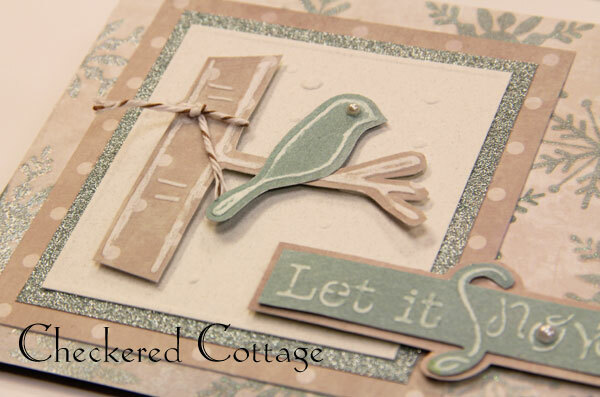 These unique decorations were crafted using the Snowflake Die from Impression Obsession. We wish you happy crafting adventures over the next couple of days! 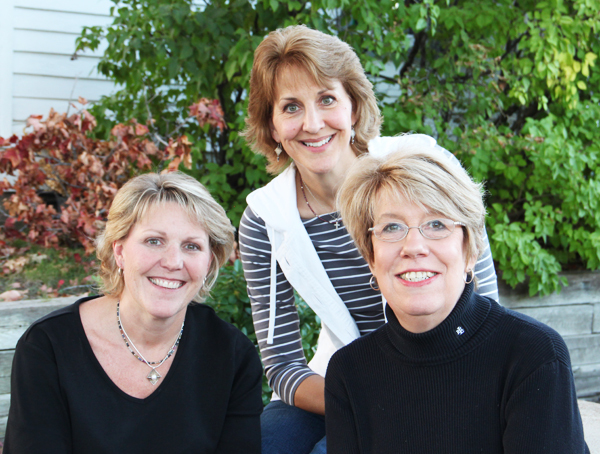 We are concluding our blog series introducing you to the faces of Checkered Cottage with a special interview with the dream team: Susan, Robyn, and Linda. 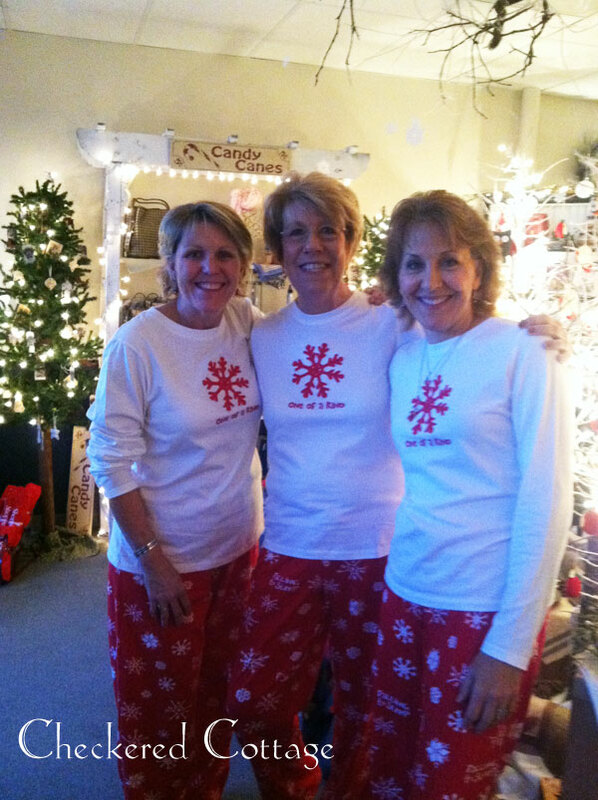 These amazing ladies share a glimpse into all the magic that goes into this this special store. Way back in the early 90s (1990s)! !, Robyn and Linda worked at a little shop in Kirkwood called Stenciled Duck and Susan was a regular customer. 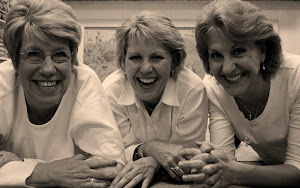 The 3 became friends and in early 1999 when The Duck closed, Susan took the opportunity to reopen her own shop in their vacated space with Robyn as manager and Linda as designer. What to call this new little endeavor?? Susan wanted it to have a cozy feel, so 'cottage' would work and at that time country checkerboard was all the rage, soooooooooooo Checkered Cottage was born!!!!! 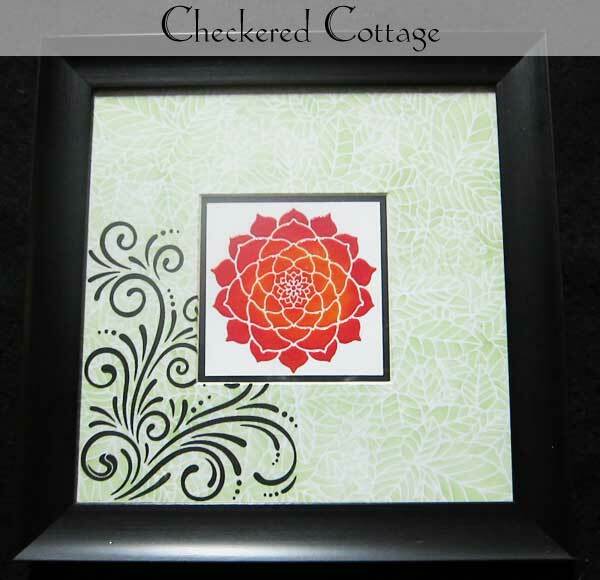 The main focus of the Cottage in the beginning was wall stencils, and wood kits along with a few templates, a little card stock and some candles. My how things have changed!! 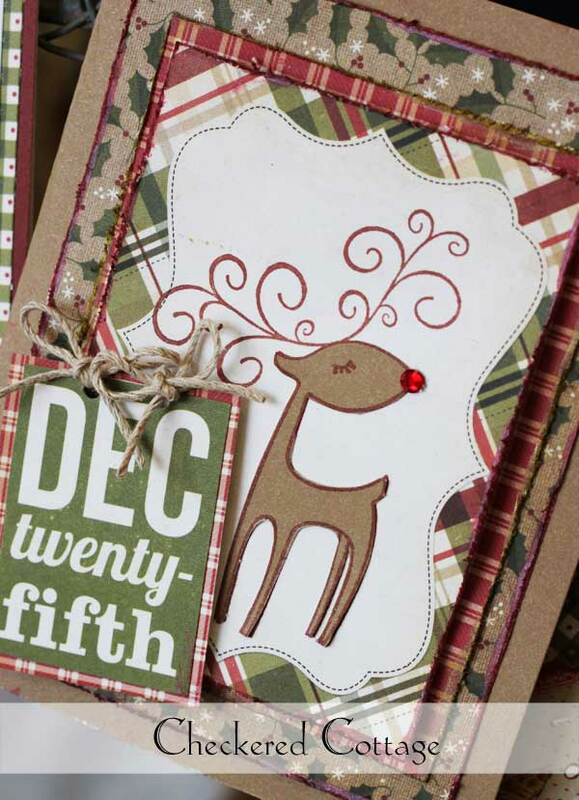 Stencils and wood have given way to an extensive hand picked line of paper crafting supplies, a wide selection of classes taught by the best teachers in town, a beautiful gift line, and a one of a kind area called ReCreate for resale and purchase of gently used craft items. Change has been good!! Our customers! We listen a lot to their needs and the ideas they share with us. 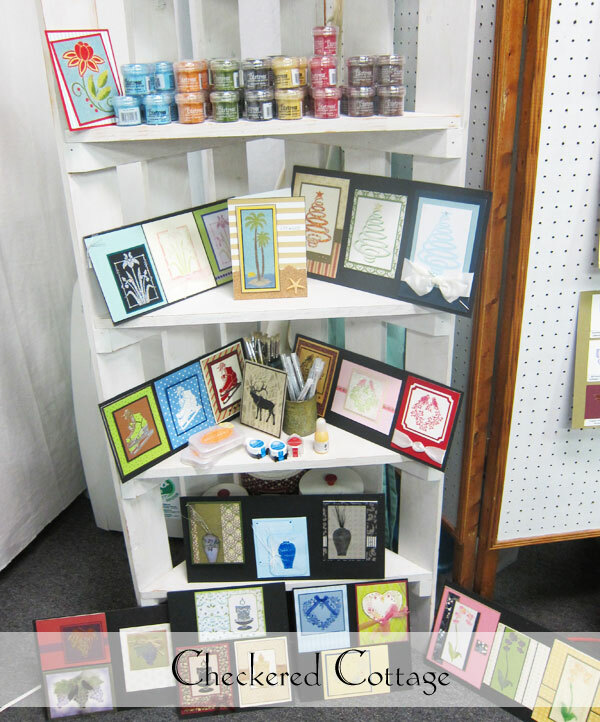 Inspiration also comes from attending CHA for our paper lines and our buying trips to Chicago for our gift line. Our reps are fantastic as they get the latest and the greatest to us in a timely fashion. Most memorable was being invited by Lasting Impressions to attend their Top Brass weekend in Salt Lake City, Utah January 2006. One evening we had dinner at the top of a ski run via a sleigh ride up to a restaurant called The Snowed Inn. WOW!! Craziest by far trip was our CHA adventure out in Anaheim, CA. Attended the show all day and at night took that rental car out cruising the streets. Oh, the sights we saw - 'nuff said!! It's great that our personalities are alike... but it's really our differences that keep things fresh and always changing. These differences help us to see things in a broader view here in the store and on our buying trips. Three good friends working together for over 13 years continues to be great fun! 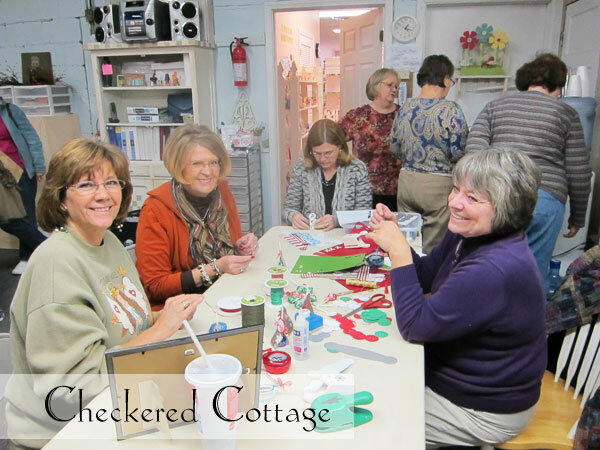 This post is part of a new series on the blog with a focus on introducing you to the fabulous faces of Checkered Cottage. We thought it would be fun to pick their brain about crafting and life in general! 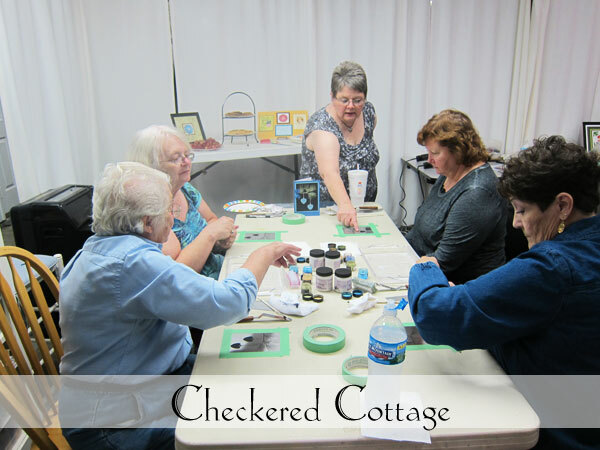 Laura makes jewelry at Checkered Cottage. 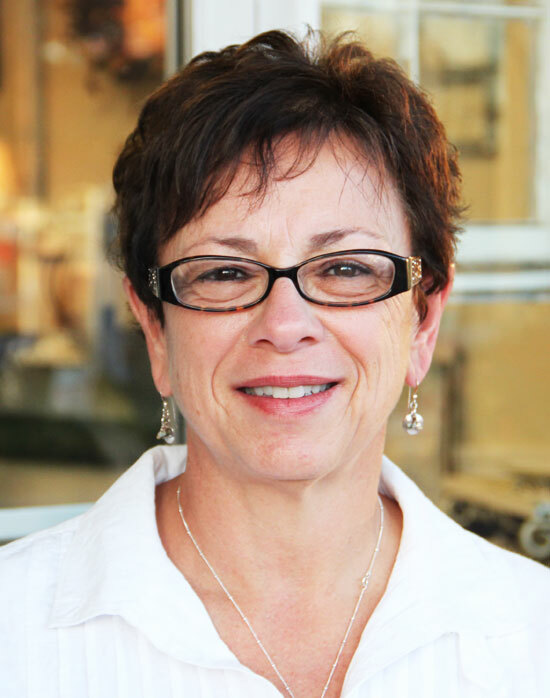 She has been in love with jewelry ALL of her life (just ask Linda)! Her addiction with crafting started around 10 years ago- to the point that her husband told her that she needed to get rid of some of the beads she was collecting. So, she took him up on his idea and has been making and selling ever since. Beads, beads, and more beads... I have more beads than Carter's got pills! I love working with silver... and would love to work with diamonds! How long have you been creating beautiful jewelry? What is your favorite snack to munch on while making jewelry? Taking care of my family, pre-school teaching, and attending bead shows. When I go to a bead show, I feel like a KID IN A CANDY STORE! My heart races and I can't wait to get to the tables fast enough. Stop by the shop today to see all of her inspiring creations. 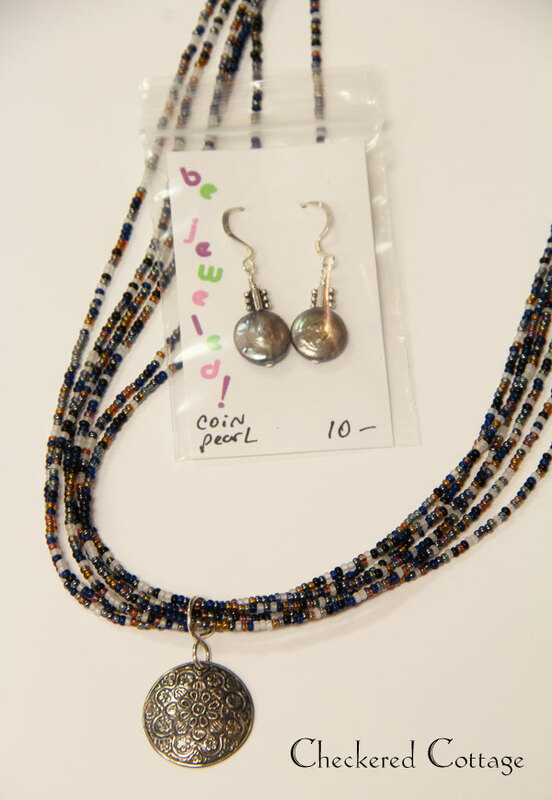 A necklace or pair of earrings would make a perfect Christmas gift for that special someone on your list! Are you looking for a bit of design inspiration heading into The Holidays? 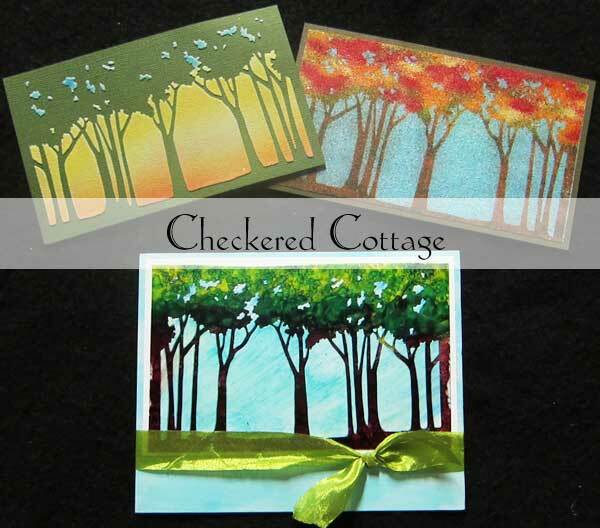 If you haven't seen these beautiful cards created by Linda, stop by the shop today for a first hand look! 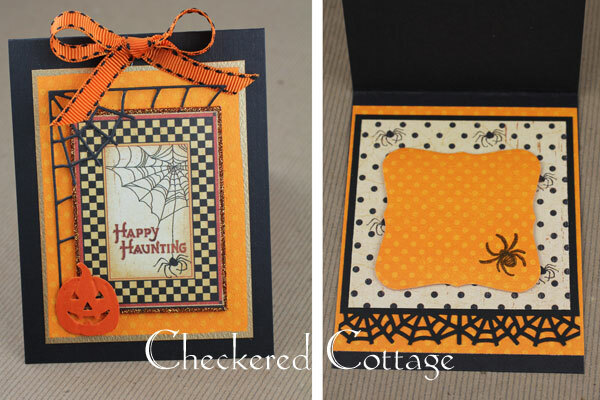 Two very different color combinations on these cards... but fantastic effects on both! 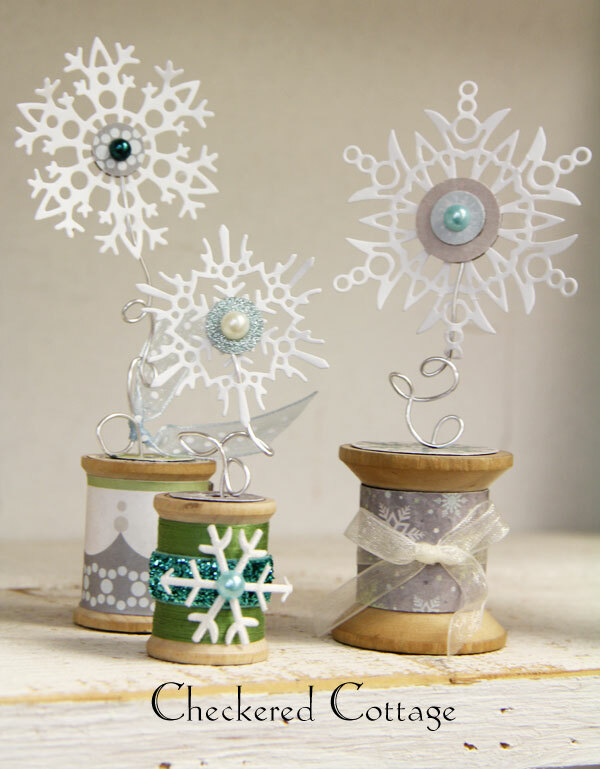 Ribbon, jewels, and glitter add so much charm to these festive greetings. Full instruction sheets on how to make these beauties are available at the shop! 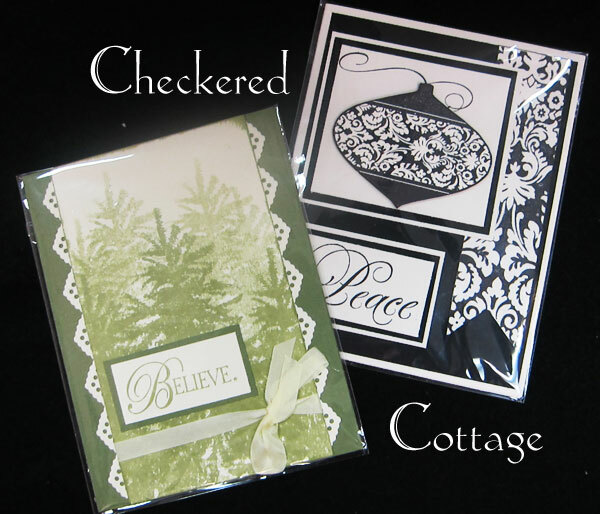 We have a fantastic variety of Christmas gifts available in addition to our paper and stencil lines. *Discount excludes consignments, Bejeweled jewelry or Recreate. 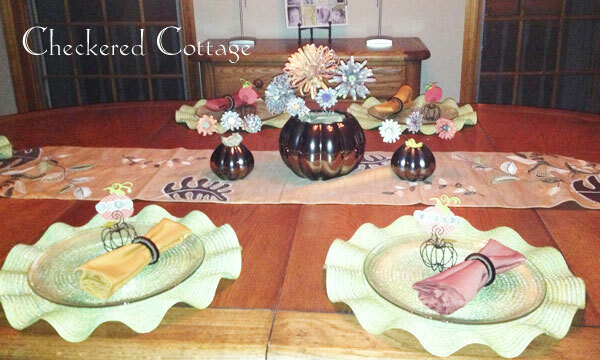 Jan looks forward to setting a beautiful table each year for Thanksgiving. This Fall, she decided to switch things up from her traditional decor and incorporate some handcrafted pieces using her die cutting machine as inspiration. Don't you just love her paper flower centerpiece and those adorable pumpkin place cards? 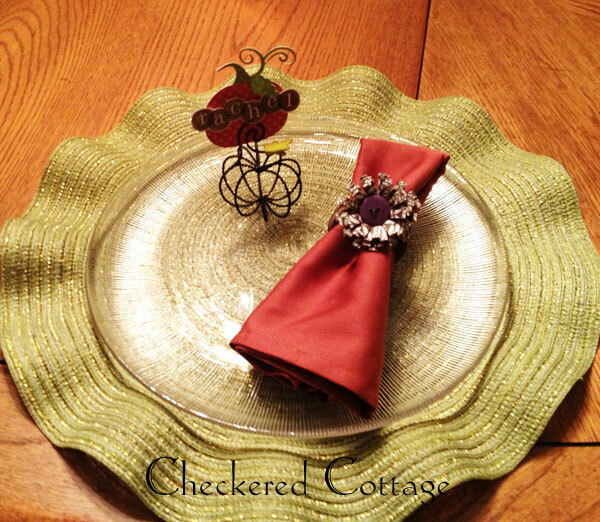 Jan is a master at incorporating different textures and products into her designs... like adding buttons to the middle of the napkin rings! In addition to celebrating with her family, Candice hosts a potluck "Friendsgiving" each year. This year, 15 people took part in this annual Turkey Day tradition... almost more than could fit around 1 table in the dining room! She looks forward to sampling all the delicious dishes that everyone brings, as well as catching up with close friends. In her words, "there is just something magical about gathering everyone around a beautiful table, toasting to the great moments of the year, and sharing what you are grateful for." 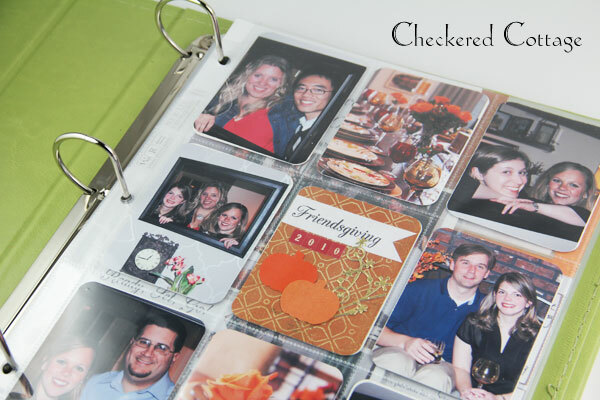 This year, she started a scrapbook to document the tradition and looks forward to adding a new page next Thanksgiving! 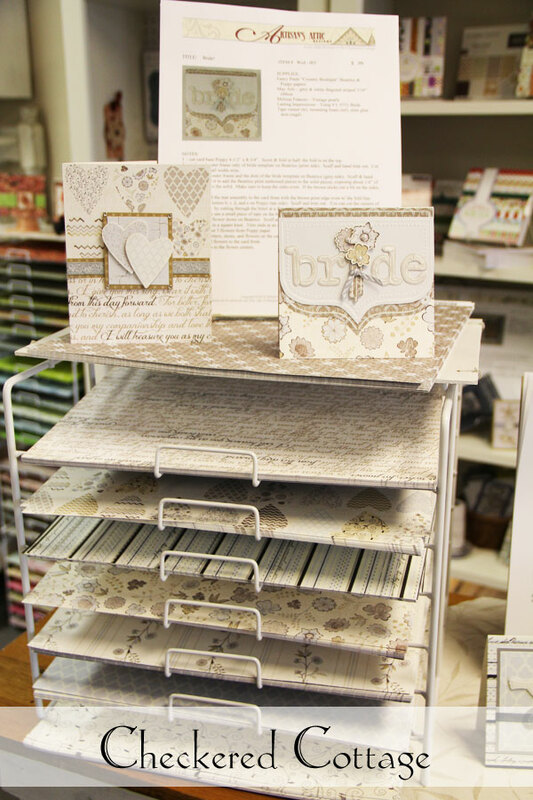 We spy our paper in the center panel, as well as a Memory Box Snowflake die cut in gold! Thank you for the inspiration, Jan and Candice! Our hearts are overflowing with gratitude this year- we are so appreciative of our dear family and friends, and especially our WONDERFUL CUSTOMERS! We are grateful for not only your business, but also your caring hearts and inspiring creativity. 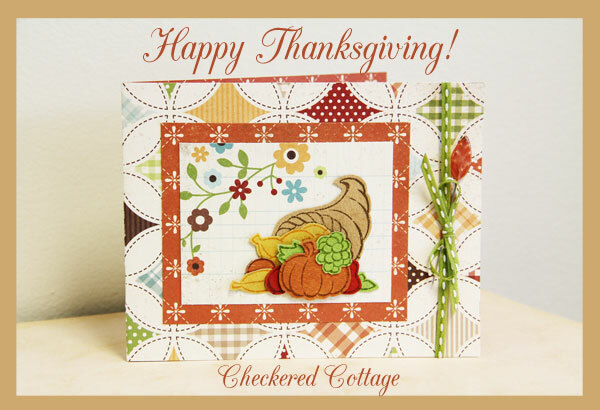 Thank you from all of us at Checkered Cottage. When Maggi's crafting took over her kitchen area, her darling husband built a room for her over their garage. He totally understood the need for her to have a special place where she could escape and get creative. Plus, it is nice not to have to clean up after every project... just close the door and leave it until later! Her two grandsons love to go up in "Nana's room" and use all the fun supplies to draw and paint and stamp. Color is probably my greatest inspiration, especially the colors and textures in nature. Finding new color combinations is a great challenge. DIES, DIES DIES... the more the merrier, and of course the Stardust gel pen. Just enough bling without being too obvious. Using Copic Markers for coloring has been such a fun thing to learn. You feel like a "real" artist when you complete a project. Eclectic, I like traditional and also being a little funky. Since I was a little girl, I have always had my hands on scissors and paper. I remember discovering my first hole punch. Just love the sound and smell of paper, especially when a good pair of scissors cuts through some great paper. Santa Barbara, California - a very creative place. No munching, just a huge Diet Coke. Of course, I have had to re-do many a project because the cup sweat leaked all over the paper and several times I dumped the entire drink on my work table. But, of course. I have a S'mores board with over 100 recipes who would have thought 3 ingredients could create so many variations. Making cards to sell and for the Card Ministry at my church. And, my greatest joy is helping home school my 8-yr old grandson. I love the creative atmosphere that the store brings out the moment you walk in! The staff is amazing. The product selection is so good that you will always leave with a hundred ideas. Thanks Maggi, we are happy to have you as part of the Checkered Cottage Team! 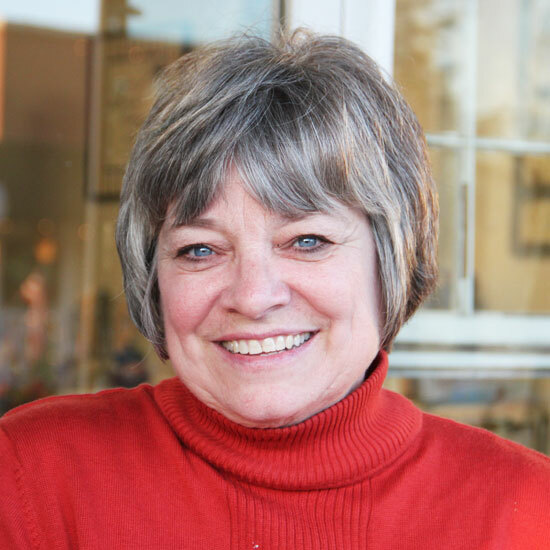 Maggi has several fantastic classes coming up in the next several weeks. 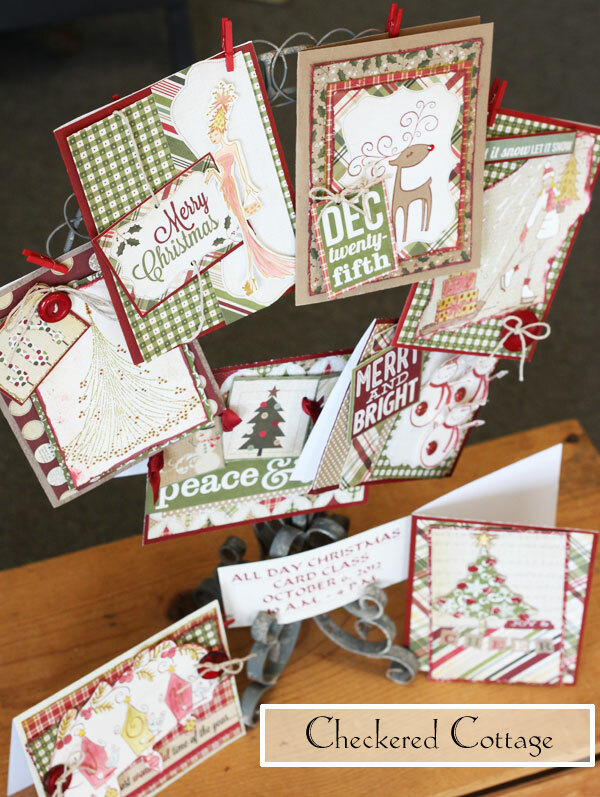 Check our class schedule HERE to learn more about these amazing projects: Portfolio with 4 Cards, Six Festive Tags, Ornament Class, and Nativity Class. What will we do at club? 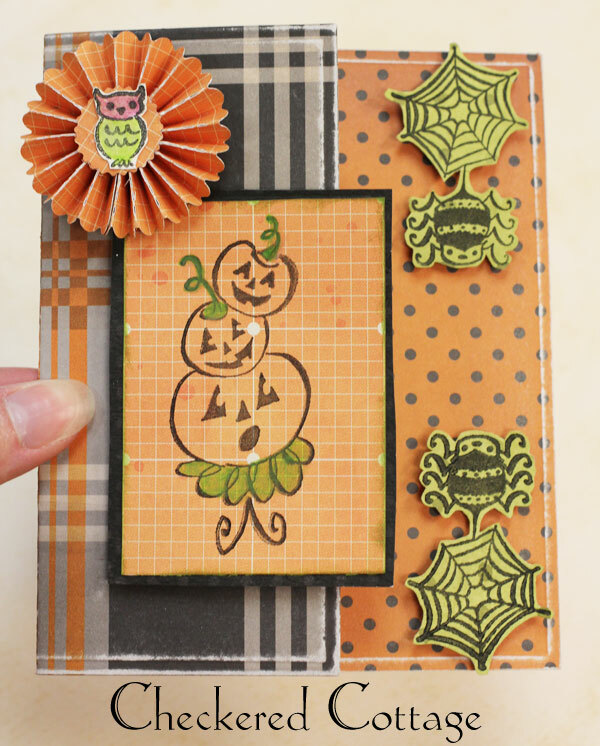 Each month, the club will complete a 2-page 12x12 scrapbook layout and another mini project or two. Club projects are exclusively for club members and will not be on display in our shop. Each month, club members will get a sneak peak of the next month's projects. 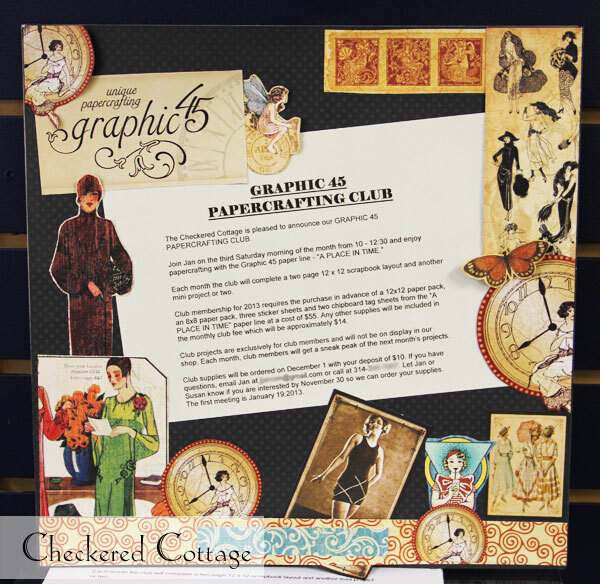 Club membership for 2013 requires the purchase in advance of a 12x12 paper pack, an 8x8 paper pack, 3 sticker sheets, and 2 chipboard tag sheets from the "A Place in Time" paper line at a cost of $55. Any other supplies will be included in the monthly club fee, which will be approximately $14. Club supplies will be ordered on December 1st with your deposit of $10. Let Jan or Susan know if you are interested by November 30 so we can order your supplies. When is the first meeting? The first meeting is January 19, 2013. 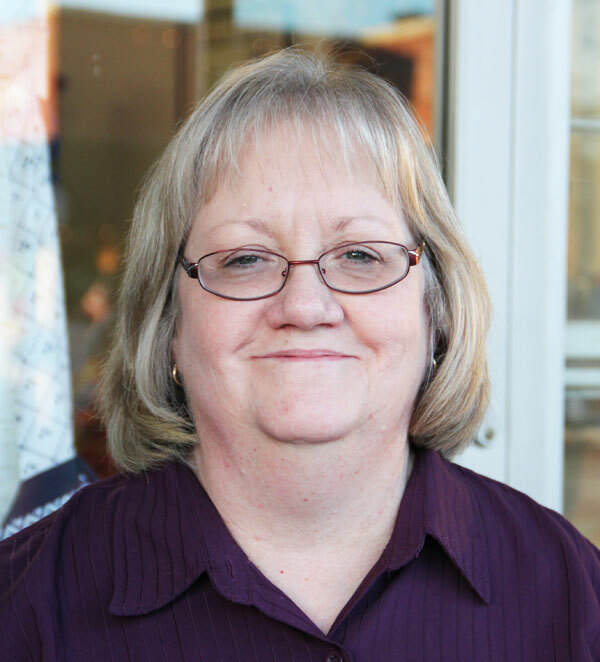 Barb is a native St. Louisan and married to her high school sweetheart. She has two great kids, Jim and Ginny, and a wonderful son-in-law, Jerry. 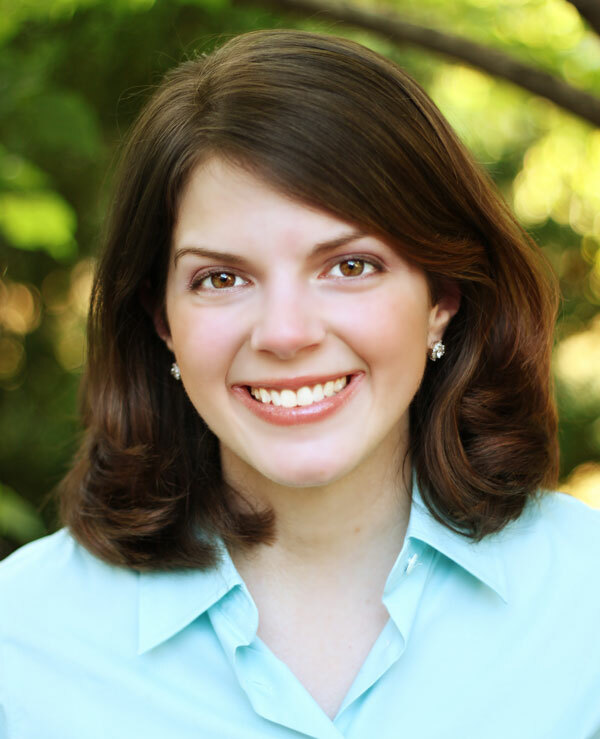 Since her husband likes to "antique," her passion for decorative painting and his hobby go hand-in-hand. 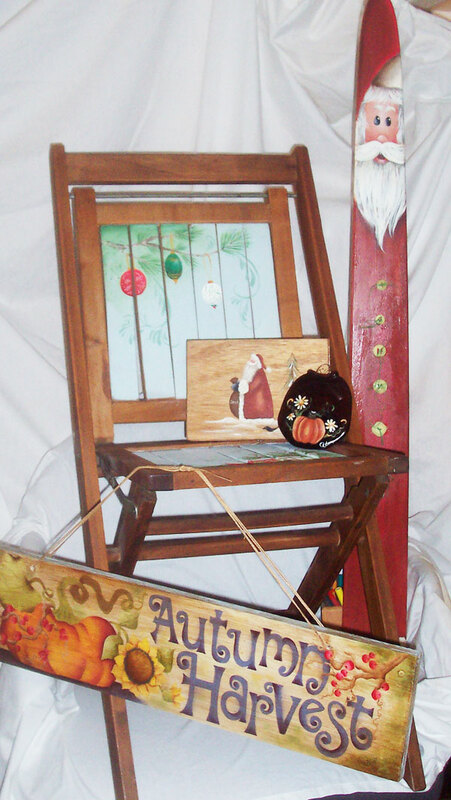 Barb is a member of the National Society of Decorative Painters and the local chapter, Gateway Decorative Artists. I am inspired by nature and the colors in nature. Dry brushing: uses a specific brush that is not moist to apply color in a circular motion, which allows the painter to deepen the color in a specific area. Floating: a technique that is used to apply color that gives an object shape. I would call myself a traditionalist. 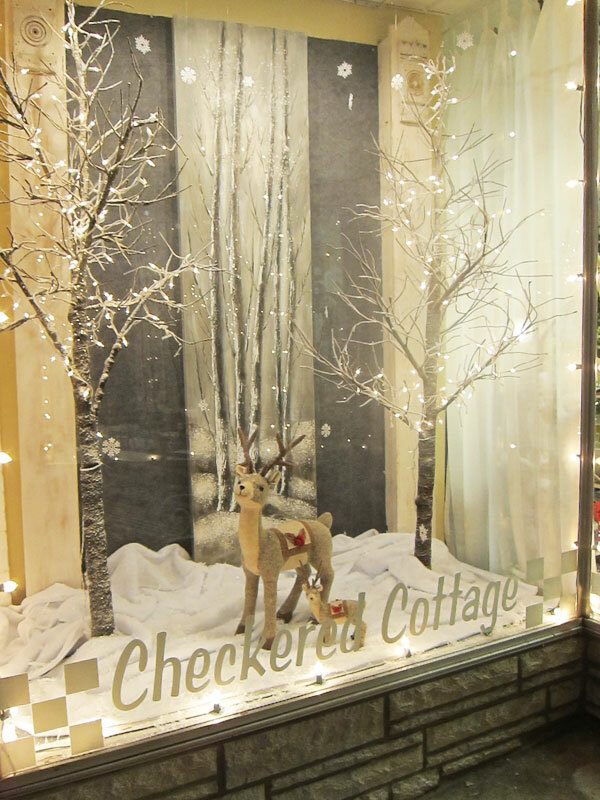 I started painting in the Fall of 1978, started teaching in the Fall of 1990, and have been teaching at Checkered Cottage for 13 years. I would like to revisit Spain. My husband and I were married there. I like classical music playing while I paint. I regularly paint pieces to sell and make samples for classes. I love the people I work with and the new classroom area. 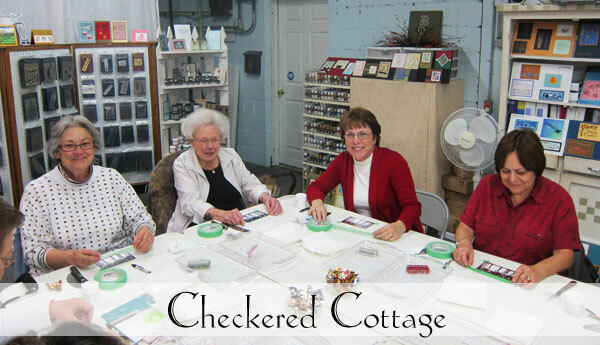 Thanks Barb, we are happy to have you as part of the Checkered Cottage Team! 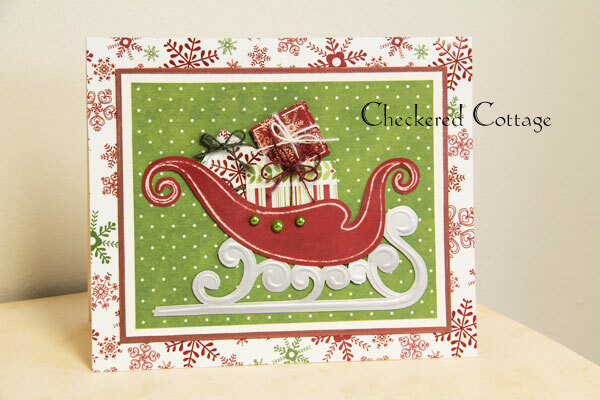 Barb has several inspiring classes coming up this Holiday Season including a Copic Flying Santa class, Santa and Friends Ornaments, Copic Christmas Penguin, and Rejoice! Rejoice! 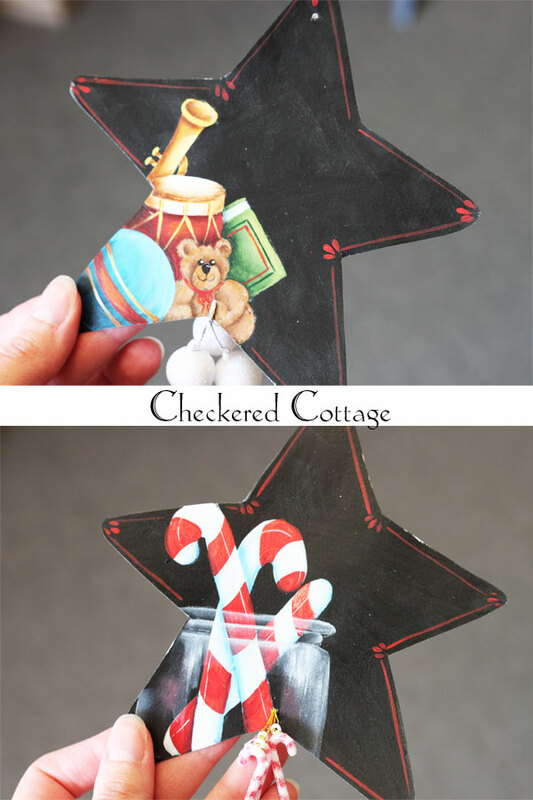 To see a picture and description of these fun projects, click on the class schedule HERE. 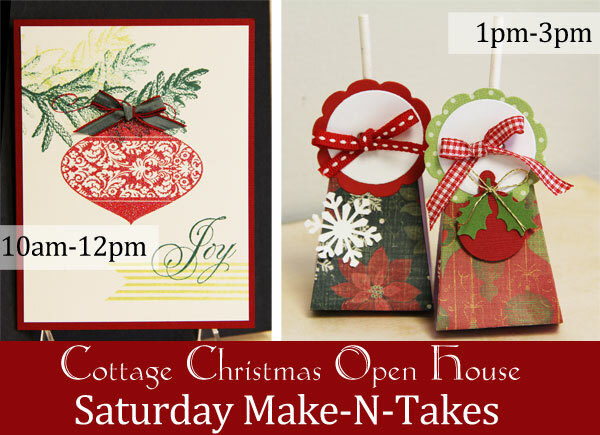 Our teachers have been busy designing these wonderful Make-N-Takes for our 14th Annual Cottage Christmas Open House. Hope to see you there! Jan teaches Spanish at Fox High School. She has been married to Mickey for 37 years. 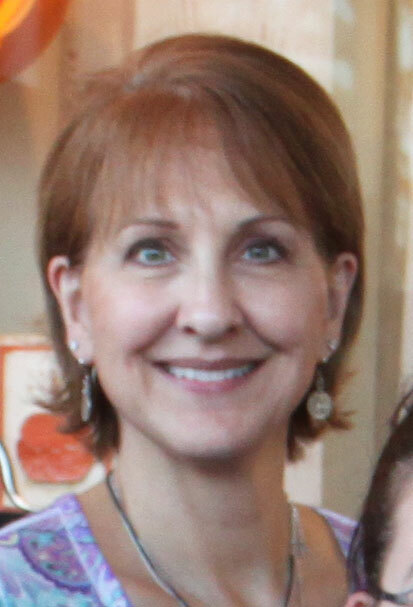 She is mom to Corey and Claire, mother-in-law to Rachel, Grandma to Nathan, and soon to be Grandma to Lucas (12/17/12). I am inspired by new product. I love paper, die-cut machines, and stamps. I also like to use unconventional items in my projects. One example of such a product is roof flashing! I love finding new ways to add texture and dimension to projects. I started sewing in Sister Lucienne's Home Economics class at Notre Dame High School in 1968. Unfortunately, she called my project abominable and made me rip it apart and start over because she didn't like the way I put in the zipper. Any beach, but my favorite is La Costa Brava in Spain on the Mediterranean Sea. I try not to munch, but when I do, it is usually chocolate. I teach Spanish at Fox High School, spend time with my family, drink wine, and work out. No doubt, my favorite thing about the Cottage is the people, whether it be the employees or the customers- love them all! 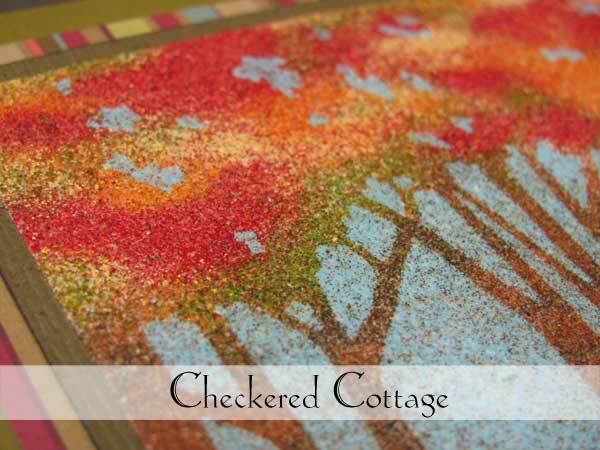 Thanks Jan, we are happy to have you as part of the Checkered Cottage Team! 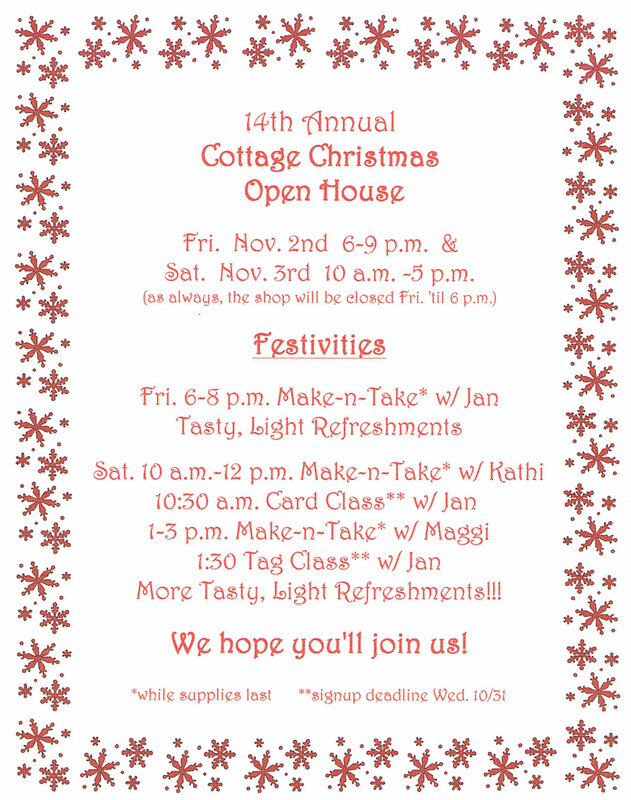 You can get a first hand look at Jan's beautiful crafting style this Friday at the Cottage's 14th Annual Christmas Open House. She is hosting a make-n-take while supplies last starting at 6pm! 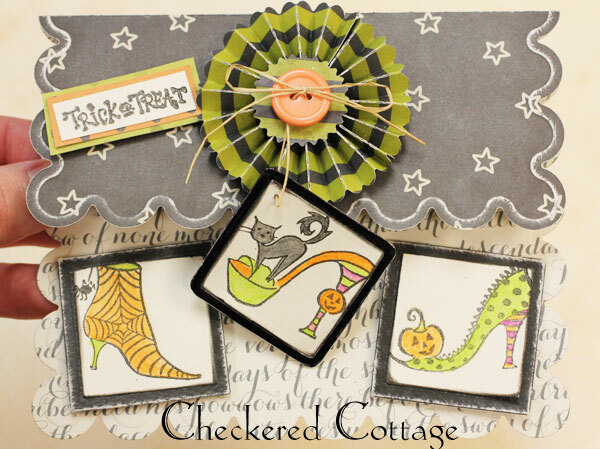 Linda has just created a one-of-a-kind Halloween treat that we couldn't resist sharing on the blog today! She adorned a plain paint bucket pail with colorful papers and the Impression Obsession die, Haunted Hill. The pails are available to be purchased at the shop for $4.95. 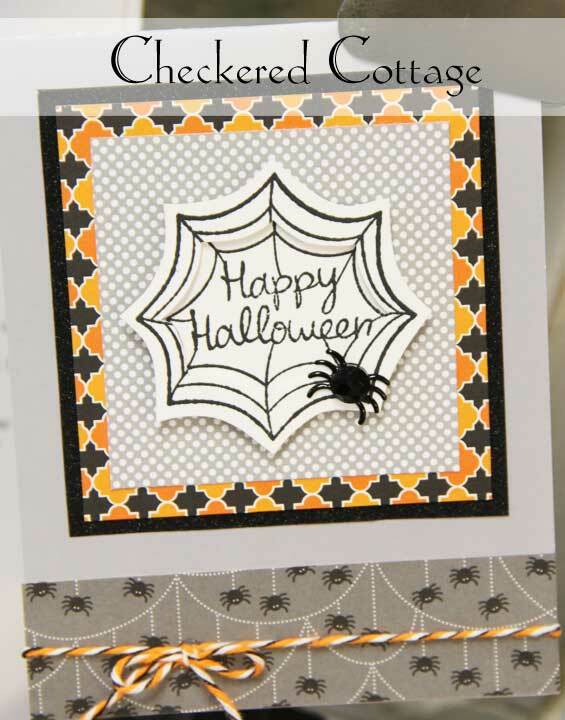 We just love all the fun details that accompany this versatile cutting die. Pick yours up today from the shop- hurry, though, all the Impression Obsession dies have been flying off the shelves! 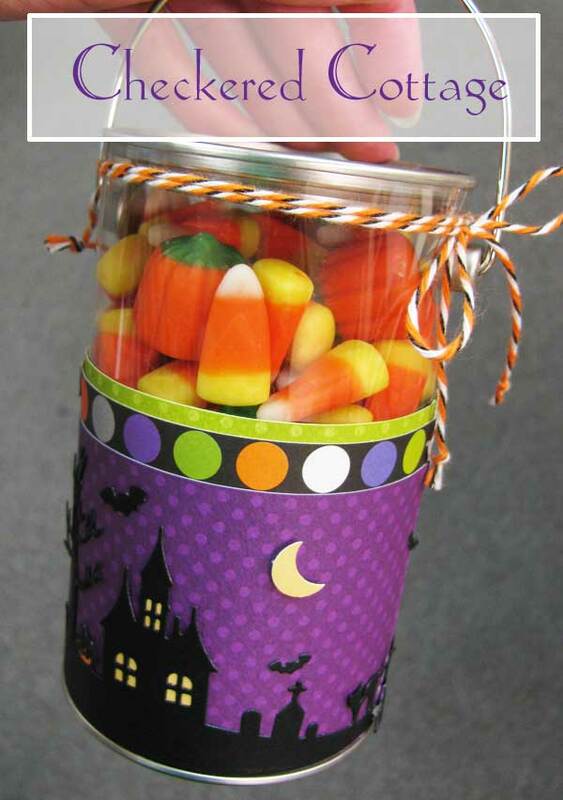 This fun and easy treat would be the perfect gift for a neighbor, child's teacher, or anyone that has a sweet tooth! 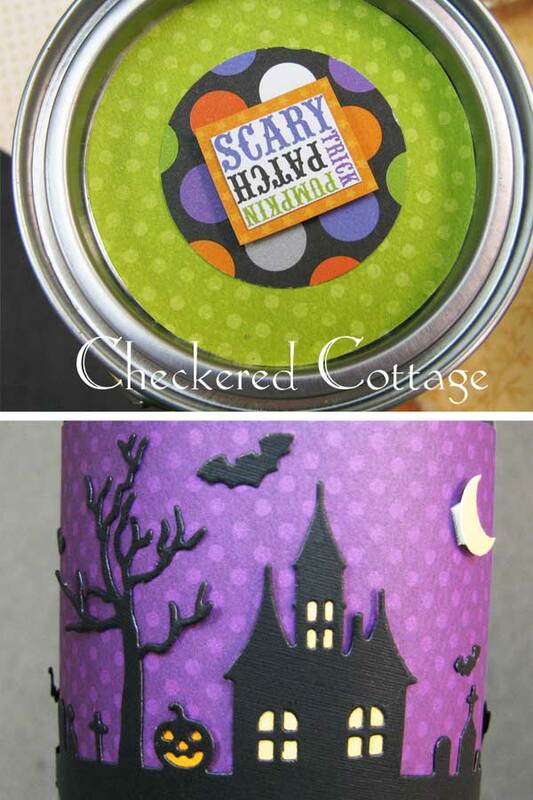 How would you decorate this fun little pail for Halloween? 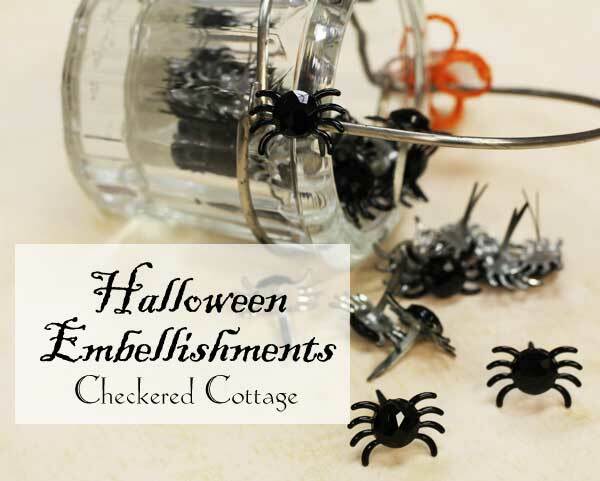 There wasn't a shortage of Halloween inspiration at The Cottage last week! 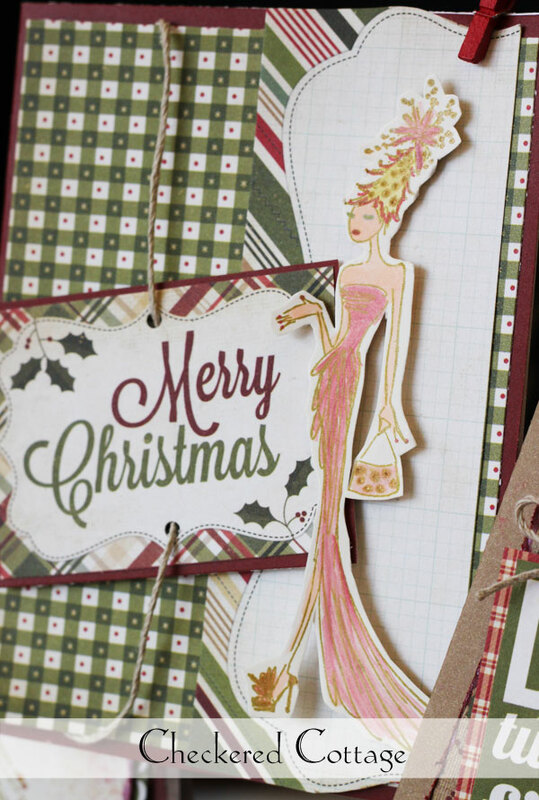 We hosted 2 fantastic classes designed to spark your creativity surrounding this fun Holiday. Here's the recap in case you missed it! 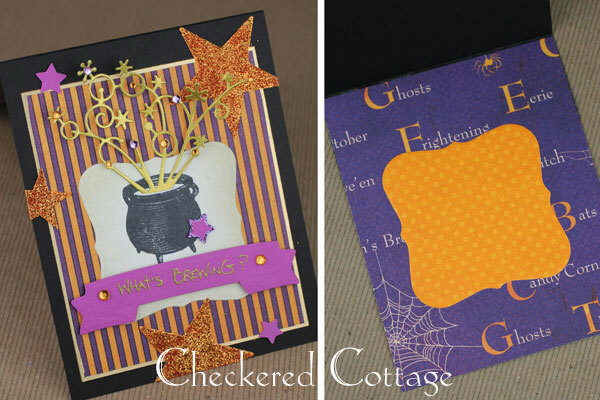 Don't you just love how Jan created dimension in these cards by utilizing paper rosettes and a scalloped flourish behind the witch? 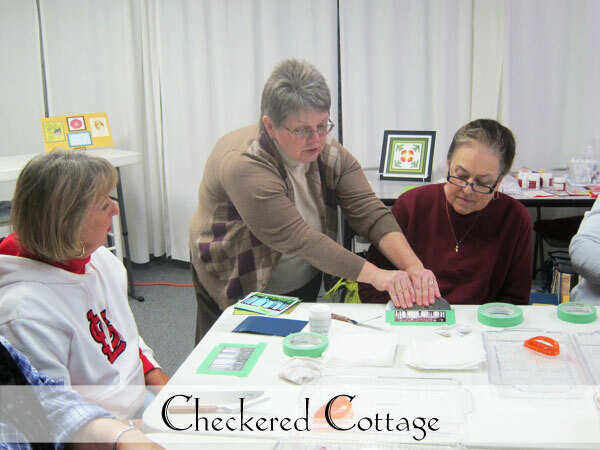 In this class, participants practiced layering papers, using intricate Memory Box dies, and edging borders with glitter and a gold leaf pen. The Cottage just received a new shipment of the beautiful papers utilized in this "Spooktacular" class! 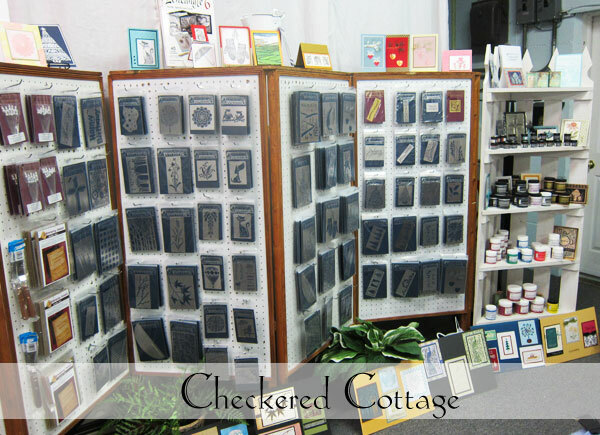 Stop by today to see our array of Graphic 45 designs. Did you know that after June and July, September and October are the most popular months to get married? 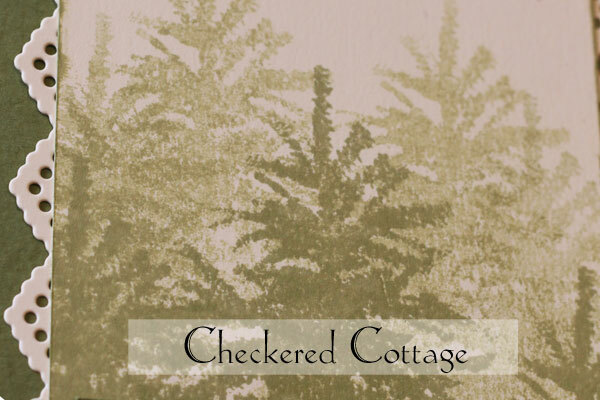 If you find yourself all booked up with weddings to attend this Fall, be sure to stop in Checkered Cottage for a little inspiration. 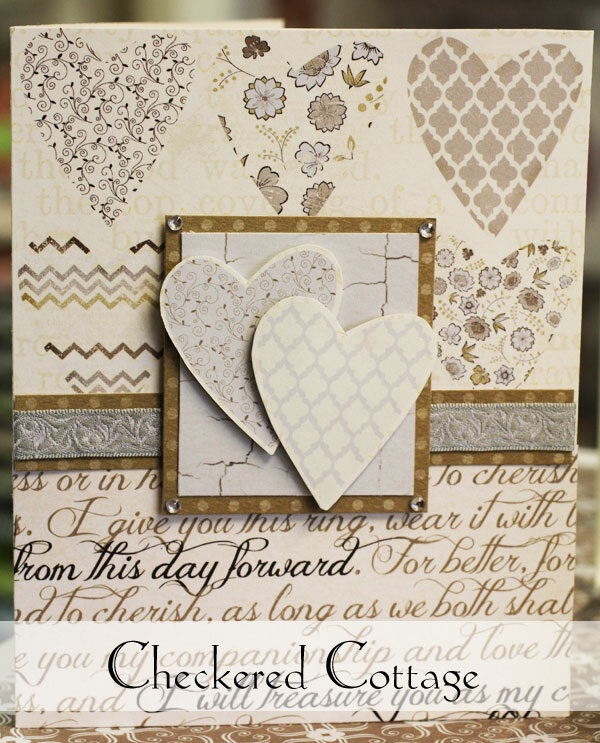 Linda has created several gorgeous samples using new papers from Fancy Pants County Boutique Collection. We know the bride and groom will be swept away with these classic designs. The possibilities with this elegant line of papers are just endless. 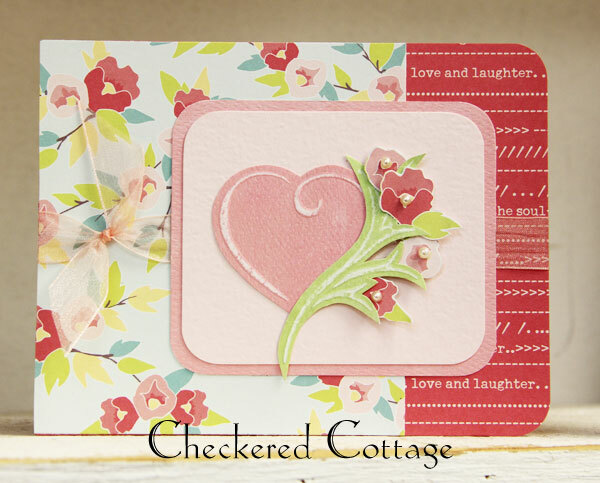 Do you want to find out how to make this stunning card? The shop has detailed instruction sheets available through Artisan's Attic. Cheers to crafting the perfect wedding wishes!